Coming from a musical family has meant that I have been steeped in music from a young age. My father, Terry senior, is a professional piano accordion player and my mother Oona, a singer. I ventured into different musical paths as a youngster, taking up the violin at the age of seven, along with trying his hand at the piano shortly after that. When I moved to secondary school I began taking lessons for the drums. After a few years of finding my way around a drum kit, I joined a three piece rock band called “Aces ’n’ Eights” at the age of fifteen with guys from Rostrevor and Newry. We gigged around the local scene of Warrenpoint, Newry, Rostrevor and South Armagh to name a few, but also managed to venture a bit further afield, playing in places like Derry city and the Aran Islands. We played a mixture of classic rock and funk anthems, including the likes of Deep Purple, Rory Gallagher, Sly and the Family Stone and so on, along with originals songs that we managed to record in a studio in Hillsborough. In the midst of all the rocking and rolling, an unexpected musical companion found itself on my lap at the age of sixteen - my first acoustic guitar. While at band practise with the guys, my father came to collect me, and in his hand was a black hard case, containing a beautiful, Vintage made, semi-acoustic guitar. I didn’t ask for it, but my father knew I had shown some interest in the guitar and decided to buy me one - maybe he just needed some backing at the trad sessions! I continued doing my thing with the rock band, gigging, composing, head banging, but I also began to familiarise myself with the guitar. I took an immediate liking to the instrument. I had always been a fond singer, and apart from singing a bit with the piano, the guitar was the first instrument that I felt was truly right for me, and I knew that learning the guitar would open the window wide to all my songwriting dreams. It didn’t take me long to begin my ever lasting love affair for song writing. As I built my skills on the guitar, mainly through watching videos online, or taking tips off my musician friends, I was able to strengthen my song writing skills. One of the very first songs i wrote, “The Old Days”, has managed to make it on my debut album Homegrown, along with all my newer material. I wrote the song when I was 16, a song about moving away from my home town where I grew up in. A song of remembrance in general, reminiscing on simple days as a child, and thinking about loved ones who may not be with us anyone. Kind of ironic that I was sixteen when I wrote the song about “The Old Days”, to which our musician friend Ruairi Cunnane said, “What the hell would you know about the old days?” But it is a song that everyone, young or old, can connect to. I continued writing, taking influences from the likes of David Gray, Glen Hansard, Red Hot Chili Peppers, Paul Brady and many more. I moved on through the learning curve for the guitar also, dropping into many Irish traditional sessions, mainly with my father. It’s amazing how much you can learn from the sessions (excluding which bar pulls the best guinness), be it guitar, song or story telling. The sessions are definitely part of the foundations that makes me as a musician. When I was eighteen I studied Creative Technologies in Magee University in Derry, where I learnt about sound engineering, camera work, coding, animation and many more. I met a fellow guitar player there from Donegal, and it wasn’t long until I began gigging as the front man of our duo. We gigged all around Derry and Donegal, also around my home turf when I managed to get Cormac, the big Donegal man down to that part of the country. We done a regular spot in the well know Leo’s Bar in Donegal, ran by Bartley Brennan, brother to the members of Clannad and Enya, every Thursday for the summer - along with many other venues in that area. My skills at this stage were growing and I decided to enter a local song writing competition in Ballymacnab, Armagh. A competition in remembrance of Joe O’Toole, a fantastic poet and songwriter. I sang “The Old Days” along with a song called “Mother Earth” that me and my father co-wrote. I ended up scooping first prize, and after receiving a beautiful plaque, I thought to myself, this is what I want to do in life. Not enter song writing competitions, but make music from the heart, that transposes all my emotions and feelings into a piece of music, that can connect to other people. I did a few radio stints in my local areas of Dundalk and Newry, playing a few of my own songs and talking about my musical journey to that point. When I got into my twenties I was dabbing into a couple of different musical projects. I began gigging with the fabulous band Bóthan, a five piece folk/irish trad group where I play guitar and percussion, and sing. I was also do a lot of duo work with the likes of Uilleann pipe and flute extraordinaire, Paddy Martin from Enniskeen. At this point I was beginning to become a full time musician and the gigs were coming hot and heavy. When I was 22 I met an extraordinary button row accordion player by the name of Daniel Murphy, an all Ireland winning player that I met at the Fleadh in Sligo. We instantly had a click, and shortly after meeting, we got together and began playing as a newly formed duo act, under the name of Dánta. Still playing to this day, we do a mixture of trad tunes along with many different genres of songs, as well as original tunes and songs. In 2015 we headed to Alaska to work for Princess Cruises, sailing out of Vancouver in Canada and heading up round the west coast of Alaska. We played on the ship for 4 and half months, and it was the best experience to that date, for gaining knowledge in live performance. While on the ship I was asked to do a few solo gigs and when we returned home, I got an almost immediate phonecall asking me to join the Emerald Princess ship in Fort Lauderdale in Florida to play as a solo performer. I snapped up the opportunity and did an amazing 6 month contract on my own, sailing around Florida, the Caribbean, Mexico, Honduras to name a few. While on the ship, I spent my down time writing and preparing for my debut album. I knew it was time to bring my songs to the fore and get them down in studio. I contacted Dave Molloy at Cellar Club Studios in Forkhill, and we had a chat about producing an album. When I got home in April of 2016, I jumped straight into studio with Dave where I had the most amazing time recording my very first album! We worked in harmony and both bounced off each other, it was a delightful experience and Ive gained so much knowledge over them 8 months or so or recording. In between all this I’ve made trips to America where I’ve gigged in places around New Jersey. I have different bookings throughout the year that will take me to places like London, Bulgaria, Amsterdam and the States. I was privileged to support the amazing Declan O’Rourke in the Iontas theatre recently, where I opened up for him, showcasing some of my songs that I had just recorded on my album. The gig was amazing and Declan gave me some great feedback. An honour. I was even more excited with my second support act, opening up for one of my favourite bands - Aslan. A memorable experience that took place in Belfast. After all the hard work for months, recording the album, I got its mastered and duplicated, and its now on all online stores and the hard copies are there for shipping. I’ve also just returned from a tour of London for 2 months, playing out there with Dánta, playing all around the west and north of London. Now that I’m home I want to push this album and share my music! 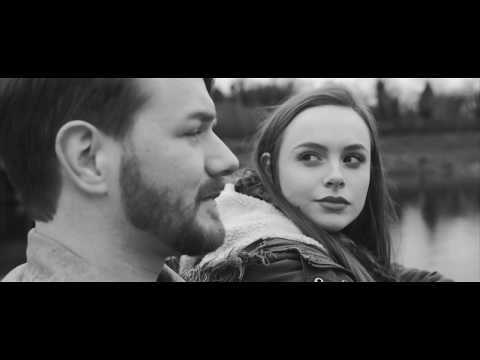 I launched a full music video for my track “I’m Leaving” from my album Homegrown and it has gotten a great response so far. I am now looking forward to recording the next video! I got the chance to perform on the Lynette Fay show on BBC Radio Ulster since I’ve came home. I went into studio with my great friend and musician Pierluigi Cioci. He backed my with piano and vocals while I played guitar, stomp box and sang, playing two songs (Don’t Lead Me On and Empty Home) from my debut album. They loved it! And we had a great chat afterwards about my musical journey and what my plans for the future were. The album since has recieved airplay from many radio stations across the country including, Shannonside, Newstalk and RTE. I continue to write, gig and travel, and I look forward to the future of my musical journey.